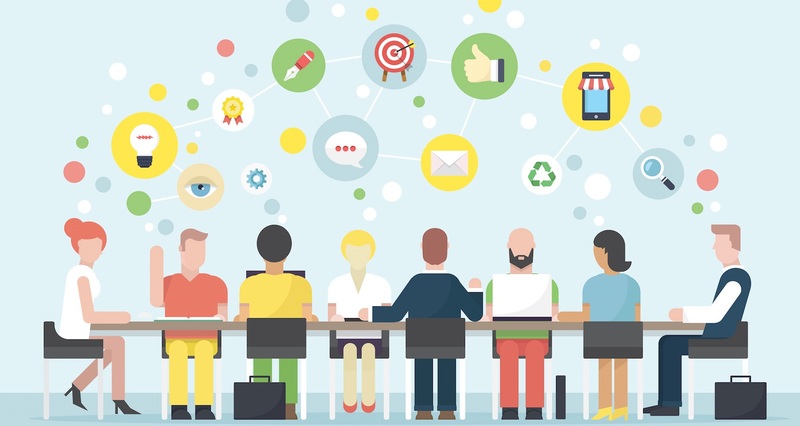 Are your meetings effective? Read this, and they will be! Meetings are horrible. Sometimes – even beyond horrible. Did you too notice how the clock just stops going forward once you step into a conference room? Oh, and that dreadful task of keeping your eyes open when all you want to do is just sleep over the entire agony of listening to that surplus info burst. An average employee spends 37 percent of his time in meetings! 39% of meeting participants admitted to dozing off during a meeting, 91% said they daydream while on meeting and over 70% of them brought other work to meetings. It’s even worse for executives. Those poor people spend upwards of 18 hours per week – a third of their working week – in meetings! And just to think that 25-50% of meeting time is wasted on trivia, small talk, repetition and other irrelevant issues we won’t even bother to mention. Plus, almost 64% of attendees are concerned about other work responsibilities that pile up at the office during their absence. If you’re a middle manager, it’s likely about 35% of your time, and if you’re in upper management, it can be a whopping 50%. And now, with all of the above – just do the math. Once you do, lift your jaw off the floor. Meeting agenda items take up 53% of the scheduled time, the rest remain unproductive. Yes, you read it well. Unproductive, fruitless, futile, ineffective, and pointless and what is more important: unprofitable! In 1976, there were almost 90 million working people and all of them had more than 11 million meetings per day. In 1996 those numbers were slightly different: almost 130 million of people with 25 million meetings daily. These days is even worse, 2014: not very high leap of the employee’s number (some 150 million) but proportionally, the number of meetings on daily bases went over the roof: 37 million! Ok, it’s time to be fair. 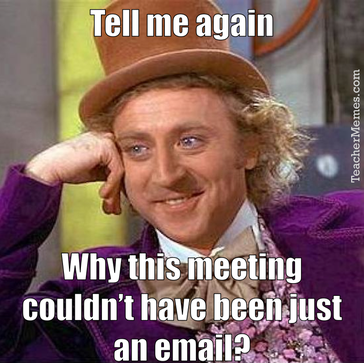 Meetings are a powerful tool but are widely misunderstood. And why are meetings still important? First of all, having a meeting is the most basic way to define the team. Those who are present belong to it; those who are absent do not. Simple as that. Plus, every meeting is a chance for each individual to better understand the collective goal and the modus in which his own and everyone else’s work can contribute to the group’s success. On top of that, the importance of a meeting is that it is probably the only time any team actually exists physically, working together as a group. Even managers are perceived differently when on the meeting. 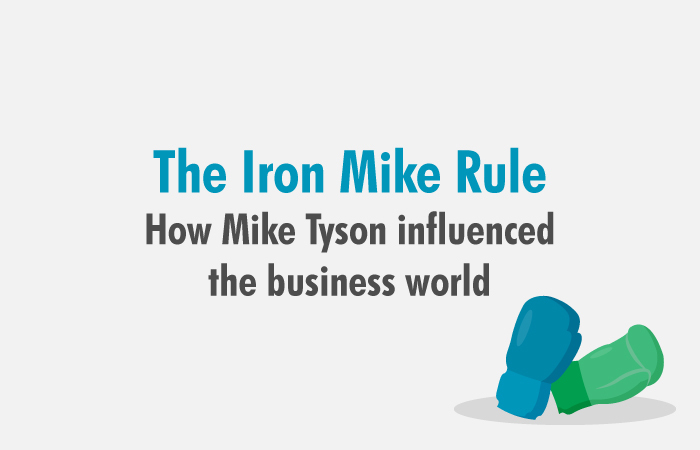 Usually, managers are just the officials to whom individual reports or get tasks from. On a meeting, every single member is aware of their real status and a role. They are true leaders of the team, pointing out the direction to go to. 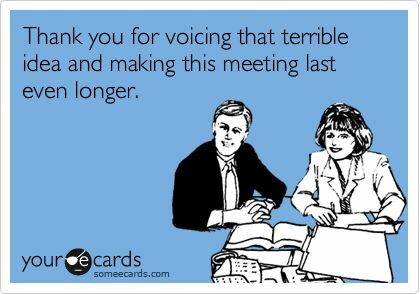 However, today’s average number of meetings per employee brings out the downside of this inevitable business element. The more meetings one employee attends, the more exhausted he must feel and the workload on his back seem to grow to the unbearable proportion. Stuck in an extremely cold or hot room (have you too noticed how they never seem to get the air conditioning right? ), almost cemented to the table, God only knows how long, far-off from your actual and urgent work, listening to a genuine commonplace fable… Sound fun, right? The word is that sedentary office activity is now as dangerous to health as smoking. 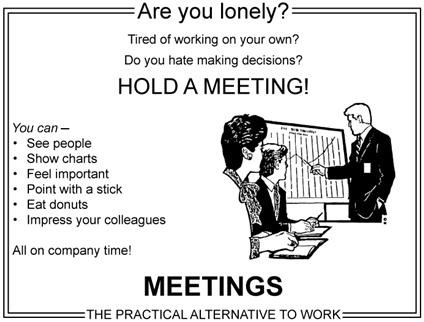 Add to this the fact that too many meetings kill the productivity. You have one day before you. The entire day of 8 hours to do something you have been planning to do. All of the sudden, the mail with an invitation to a meeting makes a bing sound on your computer. And, you know it instantly: That’s it for the day, you won’t be finishing those long-awaited reports you’ve been planning to do. One single meeting can blow a whole afternoon, by breaking it into two pieces each too small to do anything hard in, says Paul Graham, English born computer scientist, entrepreneur, venture capitalist, author, and blogger. He also said that the mere existence of a meeting during the day just about guarantees you won’t get as much done. The thought is in your mind the entire day. You can’t stop looking at the watch, jumping from task to task, trying to figure out for which one you have the time until the meeting. Oh, and we completely forgot to dedicate the time and space to the special humdrum that comes with a meeting – its preparation! The average amount of time spent on preparation for later described as an extremely productive meeting is somewhere around one hour. It is twice as long as the preparation time for a meeting described afterward as not very or not at all productive. So, what’s the bottom line? There is none. It seems as if the level of productivity of a meeting is somehow willy-nilly, or should we say completely arbitrarily. With no rules, and no clear guideline for the necessary previous steps. Ok, we have that clear. Meetings are inefficient, unfocused, and directionless. They waste our valuable time and resources. This is the first thing you should do at the very mention of a meeting. Ask yourself if that meeting is really necessary. Try to determine its purpose and every other alternative there is. Sending a poll or a quick chat can easily do all the work. If the agenda is to hear everyone’s opinion on something, in order to make a decision, then the poll is the most elegant solution. If there is an issue where your expertise is very much needed, just grab a coffee with a colleague in charge of that phase or element of the project. And, of course, if the meeting is organized just to inform people on something, remind the organizers of the existence of emails, for instance. You did the first thing, and it turned out that your presence is necessary. Well, then, time it to the second! Many professionals who took the science of meeting analyze to the next level, agree on one thing: no meeting should be longer than 22 minutes. 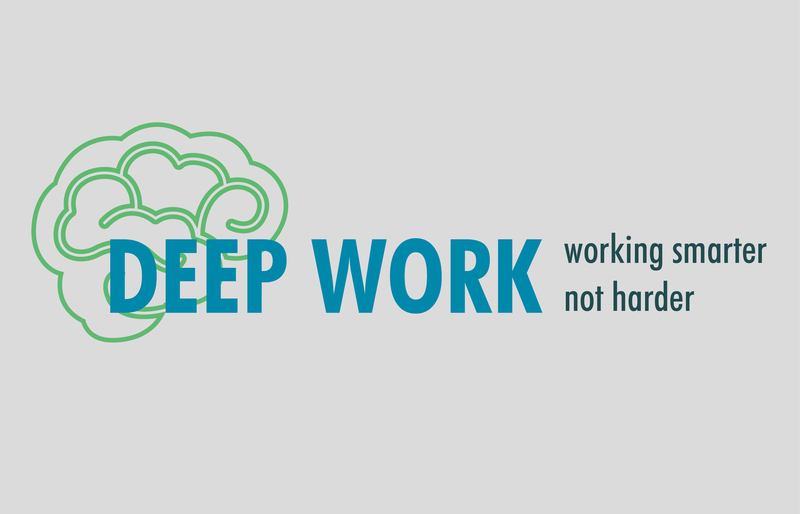 This idea comes from an Ignite talk by Nicole Steinbok. As strange and impossible it may sound, this is a hyper-effective way to keep everyone conscious of both starting and ending times. Be perceptive about whom you invite to meetings. Hackle the list, and see if everyone on that list has something important to add. Raise the bar for that, and don’t go above “important contribution”. The ideal list contains only the names of the people who have a potential of a crucial input on the subject of a meeting. Go through the entire list, one by one attendee, and ask yourself: could this person spend these 90 minutes (on average) doing something even more productive for the final result? Usually, that would do the trick. Eradicate Monday meetings! As cruel as that. Live the place for the urgent ones only. You know how everyone posts hate-memes on and about Monday? There is a reason for that and go with a flow. Your employees will me tremendously happy with this decision. Invest in Project Management Tools! Most busy professionals (89%) believe that technology will make meetings easier in the future. Software like Teodesk can allow team members to get the whole picture of the project. To see clearly which are their responsibilities and to track the progress in real time. With the written and saved evidence on every contact, the ambiguity disappears from the communication. Time spent on mistakes caused by miscommunication should definitely be used for any other productive task. 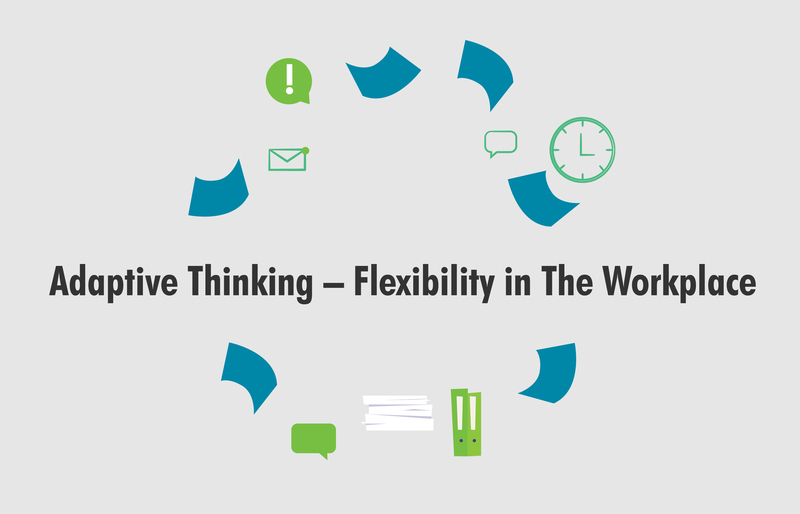 Not just for that, SaaS is the perfect solution to avoid unnecessary meetings. Hence it should have been in the first place of this list. Stop using the ancient PowerPoint. Or everyone will know about your dinosaur origin. And yes, we agree, it was cool, it was fun, it was fast. But, Jeff Bezos from Amazon actually banned PP from their meetings. There must be a reason behind it, don’t you agree? Too often, people are stuck listening to a presenter read an entire slideshow. No fun in that. Visuals are great, but if the price is a monotone voice of a person in charge of running the meeting – it simply does not pay off. Hold on to your schedule. Create a detailed agenda that covers everything you plan to discuss at the meeting. Be sure to make it so detailed that you have a timetable and a number of minutes for each issue. Stick to it no matter what. The secret is in mailing the timetable to each attendee in advance, so they have enough time to prepare and to evaluate which issue concerns their tasks. This type of discipline will keep everyone focused and that saves a lot of time. Lot! 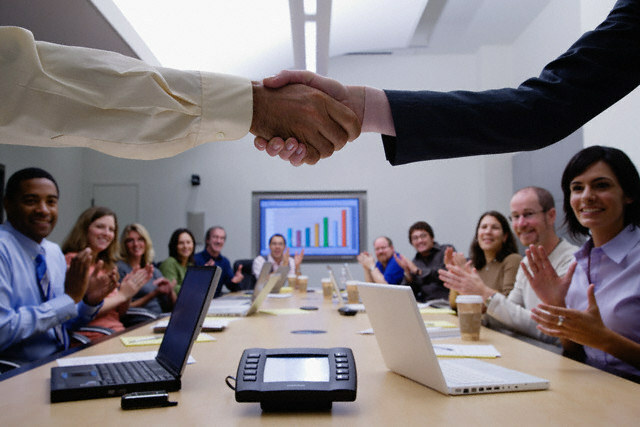 Never end a meeting without making sure that every single attendee understands perfectly his duties. When one knows what he is accountable for, he will understand the extent of the authority he was given to complete the assigned tasks. As well as the associated deadlines and time frames. Set a day for the meetings. Only one day in a week should be, if possible, dedicated to this kind of problem-solving and strategy making. Make it Wednesday. It’s in the middle of the week and will make an easy transition. That must be your first reaction. I will speak no more on that subject. Just take a look what Mattan from Forbes had to say on this. Stand up to the meetings. Literally. I’m still standing better than I ever did, as Elton John would say. We and The Get Britain Standing campaign couldn’t agree more. Research shows that meetings conducted standing up are a third shorter than those done sitting down. Bring back the meaning to the ‘quick get-togethers’! 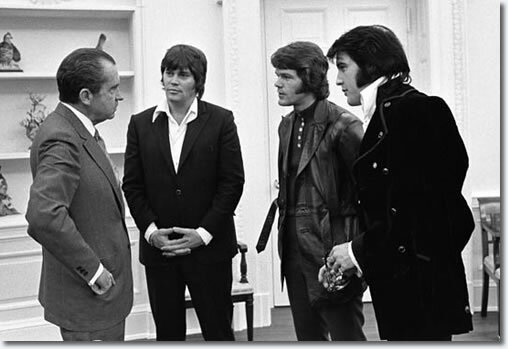 E. Presley and Nixon on a “standing meeting”Standing meetings are very trendy these days. They are more actionable and when you think that It takes an hour of exercise to eliminate the toxins built up in one round-table session – they are as healthy as a meeting could be. • Start the meeting on time, do not waste time thinking on those who will be late. And don’t let people who are late to the meeting by more than 15 minutes join. • Invite fewer people to the meeting— with the increasing numbers of participants, productivity goes down. • Allow the right for employees to decline their attendance. Without penalties, that is. If you smell trouble (like someone who simply never shows up, even when needed indeed), talk to that one in private. • End meetings earlier than expected. That will do wonders for the moral. • No tech devices are allowed in meetings. • Call each meeting a brainstorming. • Feel free to interrupt time wasters. In case you wonder, those are the ones who either repeat what they have said or repeat what someone else has already covered. • Whoever calls the meeting should “own” the meeting.